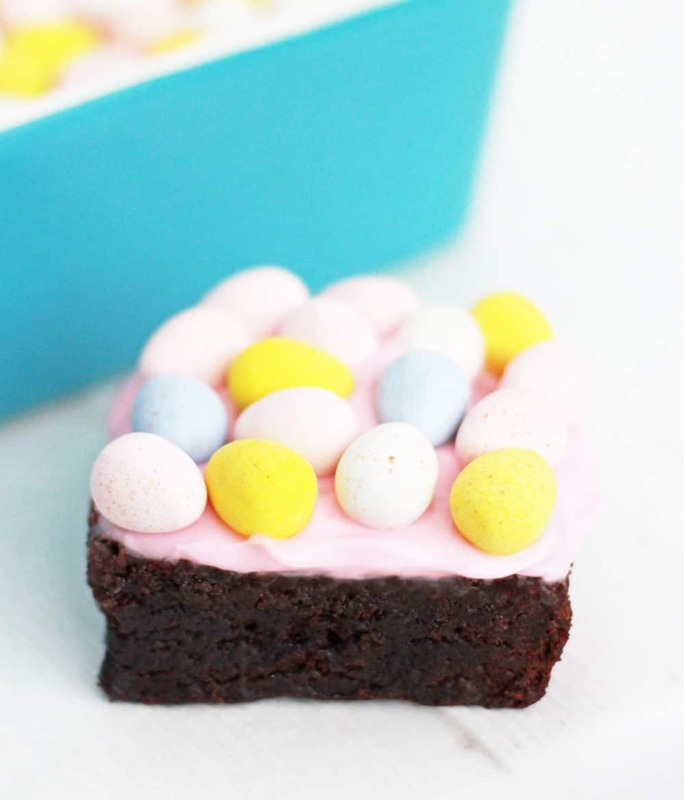 The ultimate Easter treat – Cadbury Mini Egg Brownies!! This past weekend I was craving chocolate so hard. I was at the grocery store, and there were the Cadbury mini eggs, just staring at me. So, I bought them. 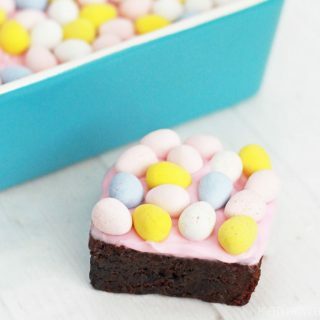 I decided to put them on top of some brownies with cream cheese frosting making them the ultimate Easter brownie. Sooo you could say they are a hit! First of all, have you ever put cream cheese frosting on brownies? You should do it. It’s life-changing. 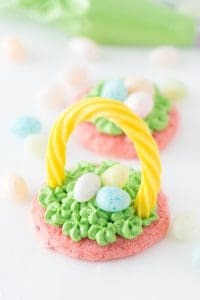 The mini eggs take them over the top but in a really good way. 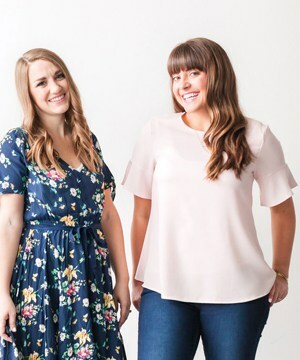 I just hope you have a glass of milk (or a Diet Dr. Pepper) handy because these babies are RICH. 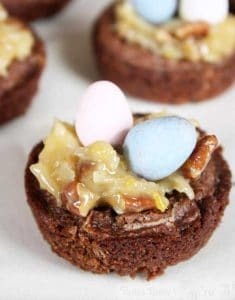 I use a box mix to make brownies, because honestly, I love my Pillsbury box mixes and if I love it then why would I bother to mix them up from scratch!? haha. If you are a from-scratch brownie maker, I salute you, and you can totally make this recipe that way, too. 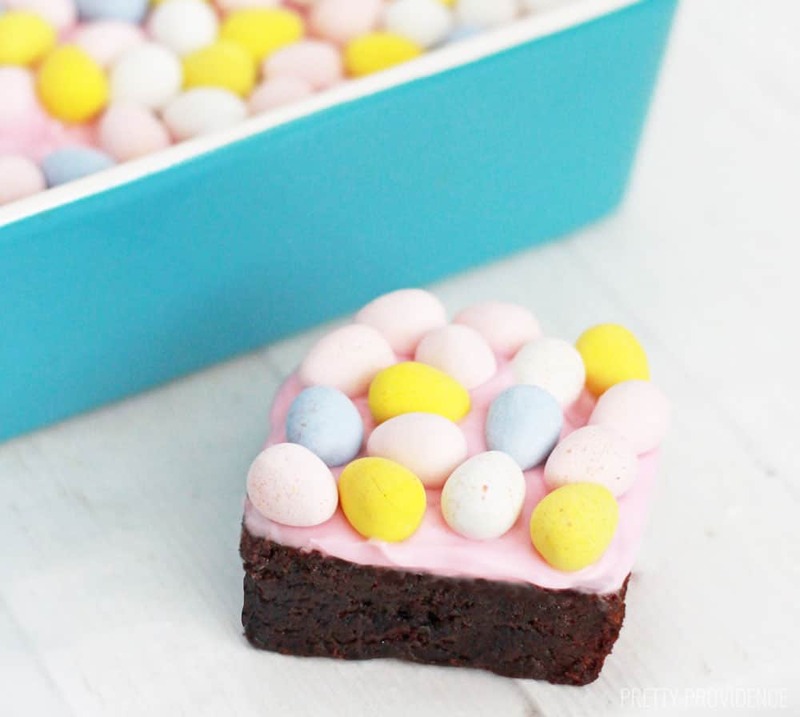 Brownies with cream cheese frosting and topped with Cadbury Mini Eggs. 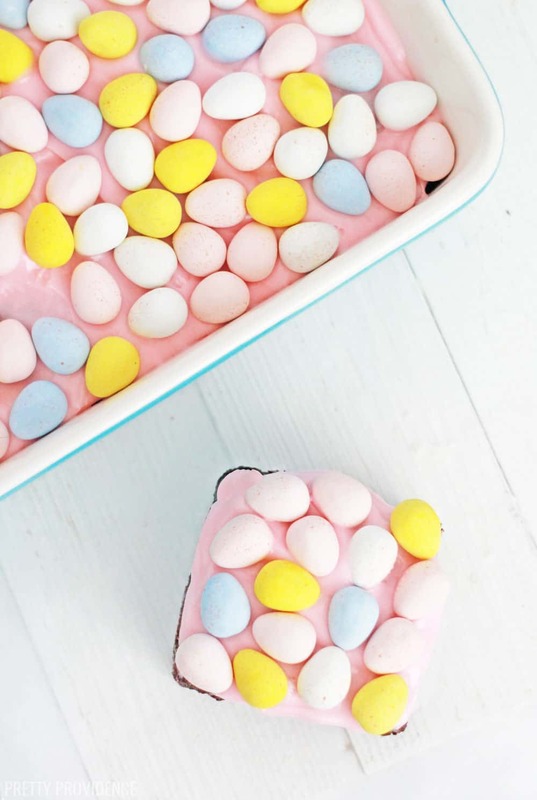 These brownies are the perfect Easter dessert! Prepare brownies according to box directions, and allow them to fully cool. While brownies are cooking, make cream cheese frosting. Add softened cream cheese and coconut oil into a large mixing bowl. Beat with a hand mixer til smooth. Slowly add powdered sugar until desired thickness. When brownies are cooled, spread frosting over the whole pan. 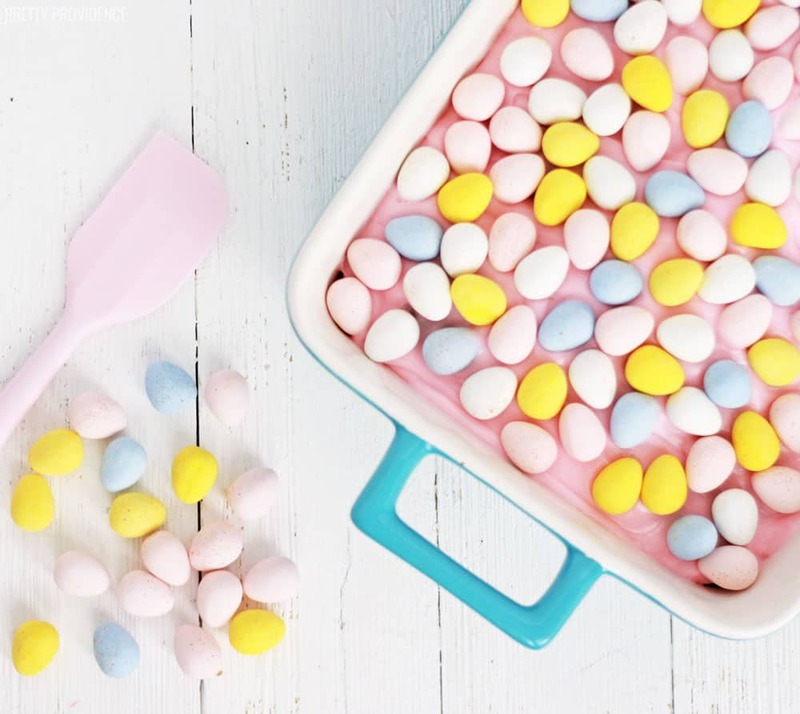 Add Cadbury Mini Eggs to the top. Devour! I am a brownie ADDICT, I’m not exaggerating. So if you need some more brownie recipes, girl, I gotchu! Dang it! It looks like HEAVEN! This is the definition of HEAVEN! 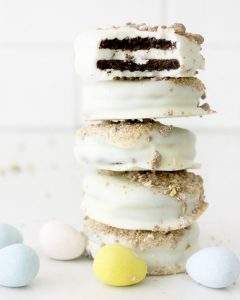 I will definitely make some for my family. Thank you for sharing this recipe to us! You are so so welcome! So glad you are excited about it- they totally are delicious!